Did the AppStore make the iPhone, or did the iPhone make the AppStore? Now before you point out that however sophisticated your iPhone, it’s hardly inventing software just yet. Please, allow me to explain, It’s simply a question of heritage and of recipes handed down the generations. It happens that I know a a thing or two about that first AppStore. It was I, who first demonstrated it to Mr. Jobs, and I will tell you just exactly what he said to me about it. As many are aware, iPhone inherits its system software from its older brother, the Mac. But where did Mac OSX come from? This is the story of the iPhone’s heritage, and it’s secret sauce for creating hot software. A platform that ushered in the dot-come era, and built the foundations that ignited today’s mobile revolution. October 12, 1988. Over 25 years ago and well before Steve Jobs’ return to Apple, there was a confusingly named computer simply called “The NeXT”. The World Wide Web would not be invented for well over a year, and the AppStore would take another two, but they both will be invented using this NeXT computer. The NeXT Cube along with it’s NeXTSTEP OS, was a computer science inventors ultimate dream machine and the NeXT design for system software was unique among computer makers. Undertaking to fully adopt mainframe system software (BSD Mach Unix), along with the wholesale adoption of the Objective-C programming language right down to the compilers was as bold as the computer’s design. This was a stark contrast to the Apple of that day showing little interest in developers, let alone owning compilers and maintaining computer languages. 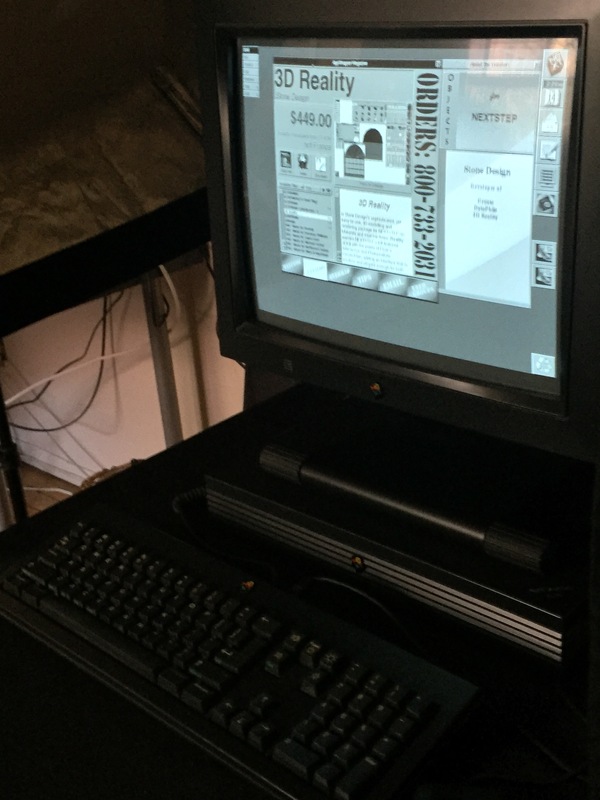 During a span of just a few short years, this NeXT Computer was the platform where software engineering was hot enough to cook up that first AppStore and the World Wide Web both. 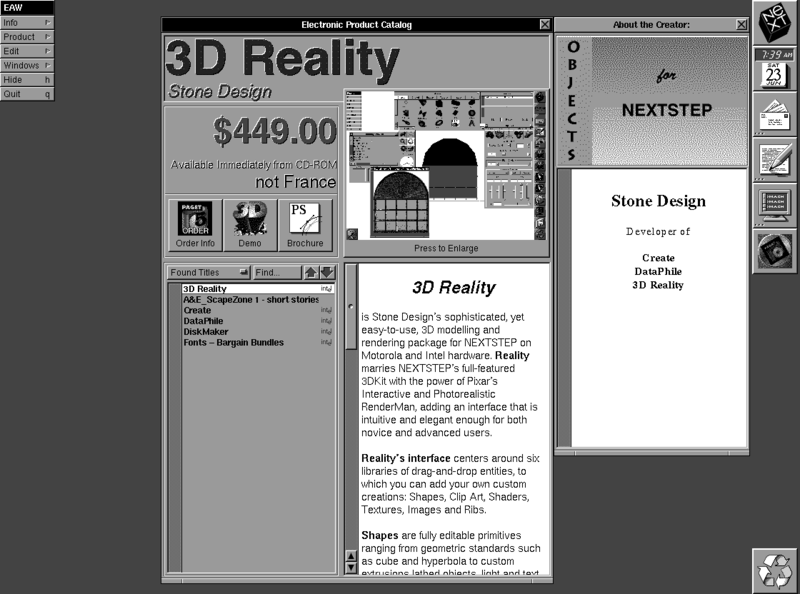 By 1990, Tim Berners-Lee’s www app had no inline-images, no bookmarks, no search and no history. There was no back button! Each hyperlink would open a new window and you could go “Web Crawling”. Someone soon coined “Web Surfing”, which was rather more ironic than appropriate given the average network performance of the day. But really, who wants to crawl when you can surf? As for the AppStore? 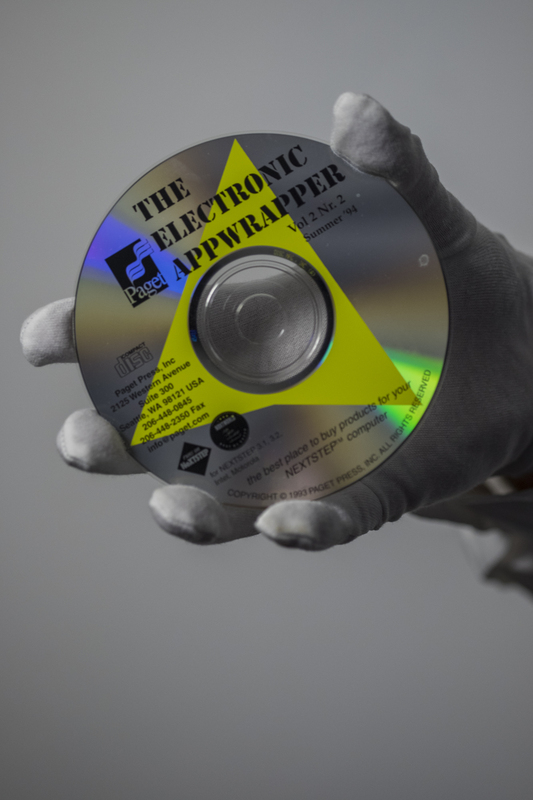 The Electronic AppWrapper was the first software distribution to collectively manage encryption and digital rights for Apps, music and media (Issue #3 was the AppStore first demonstrated to Steve Jobs). This was an important move to lower the bar to deliver software by electronically protecting the rights of their digital media. Something that in today’s world of certificates and encryption, we take for granted. Consider that this is a time when people purchased software in boxes that were sold at retail stores with the moniker `Egg Head`. Seriously. Folks, I can not make this stuff up, that’s how people got software. A NeXT Computer is prepared for AppStorey to demonstrate the first AppStore. Surprisingly, that first AppStore looked much like the iTunes or iPhone AppStore of today, but there were some major differences. Understand that in 1990, modern offices would share a network Modem that dialed a telephone to fetch email. There was simply no way to deliver hundreds of Apps, songs and demos along with music and voiceovers contained within our multi-media presentation. Remember, this was a transition period. The AppWrapper was initially a traditional paper periodical, a sort of magazine/catalog combination, listing nearly all available software products. A few issues in, just look there in the back page? — You’ll find a CD-ROM disk with your favorite software, delivered to your door by US mail. Very modern indeed. You might also know, a younger Mr. Jobs could be a very tough person to demo to. He was known to interrupt your talk and call your life’s work “brain dead” before walking out the door. Now, I’m not going to say that I was not aware of this, but when it’s your own software? You’re ready to defend it, even to Steve Jobs. Somehow, that was more than enough. Now you know how it really was the iPhone that made the AppStore, you may continue your “Surfing”. Jesse Tayler is a veteran startup junkie and master iOS engineer. After a lifetime of startup work in Silicon Valley, he’s back living in New York City where he was born. Today, Jesse is CEO of Object Enterprises Incorporated, a New York company specializing in iPhone and iPad.